Members of the Business and Labor Committee heard testimony Feb. 4 on a bill that would guarantee paid leave to Nebraskans. LB305, introduced by Bellevue Sen. Sue Crawford, would require employers with four or more employees to provide paid sick and safe leave. Under the proposal, employees would accrue at least one hour of paid leave for every 30 hours worked. Employees could earn up to 40 hours of paid leave per year, based on hours worked. 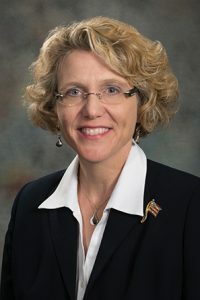 Crawford said 70 percent of low-wage workers do not have access to a single day of paid leave to stay home when sick or care for an ill family member. Qualifying employers would be required to allow an employee to use his or her paid sick and safe leave for a mental or physical illness, injury or health condition, to care for an ill family member or for an absence due to domestic abuse, assault or stalking—including psychological treatment or legal services. Employees would be eligible to use accrued leave 60 days after beginning employment. Any unused leave time would carry over at the end of the year, but an employee could use only 40 hours of paid leave annually. An employer with a comparable paid sick time policy would be eligible for an exemption from the bill’s provisions. 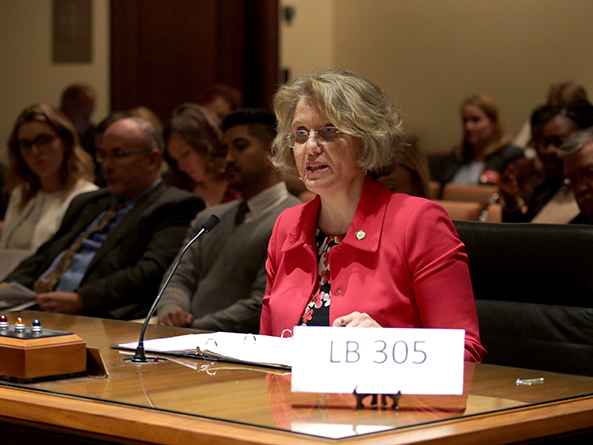 Karen Bell-Dancy, executive director of the YWCA of Lincoln, spoke in support of LB305. She said allowing paid time to be used in instances of domestic abuse or assault would allow victims to receive critical support from community resources. AFL-CIO representative Susan Martin also spoke in support of the bill. Sick employees who are unable to take paid leave still handle food at restaurants, drive public transportation, care for children at daycare facilities and the elderly in nursing homes, she said. Erin Ebeler Rolf, representing the Lincoln Independent Business Association, opposed the measure. She said the bill’s provisions far exceed those accepted under federal law. Also speaking in opposition to LB305 was Kathy Siefken, executive director of the Nebraska Grocery Industry Association. Many grocery stores employ high school students part time, she said, because tight profit margins make offering paid leave almost impossible.